M17 is a beautiful emission nebula that can be seen with the naked eye in the constellation of Sagittarius. 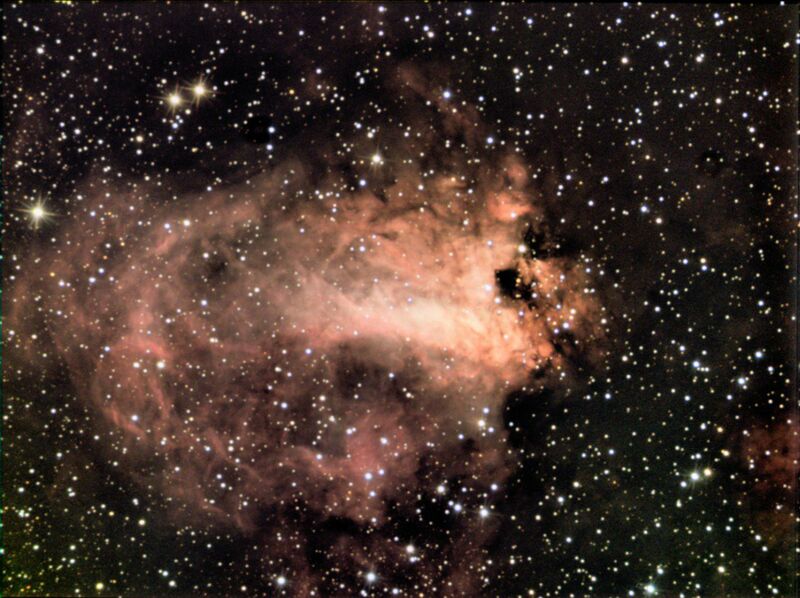 Its brightness is the result of the radiation of young stars of which the energy excites the nebula's hydrogen atoms. Messier 17 is also called the "Swan nebula" because of its likeness to a swan. Image taken by "Chamois" (their pseudonym on the forum) using a CCD camera and a 200 mm telescope.